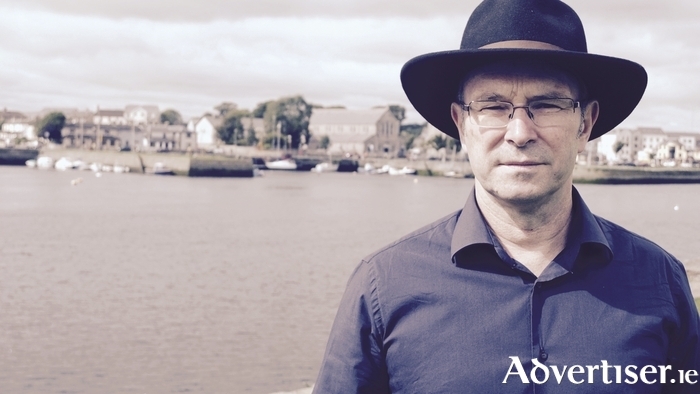 SOLAR BONES, the new novel from Galway writer Mike McCormack, will be launched in Charlie Byrne’s Bookshop, Middle Street, tomorrow at 6.30pm, with comedian Tommy Tiernan as guest speaker. Once a year, on All Souls’ Day, it is said the dead may return. Solar Bones is the story of such a visit. Marcus Conway, a middle-aged engineer, turns up one afternoon at his kitchen table and considers the events which took him away and brought him home again. Published by Tramp Press, Solar Bones is the follow-up to Mike's 2012 short story collection Forensic Songs, and his first novel since 2005’s Notes from A Coma. The novel has already met high praise. Kevin Barry (Beatlebone, City Of Bohane ) said it "attempts the oldest and the most difficult feat, to take the prosaic and the everyday, the ordinary things of our existence, and to elevate them, and to transform them, by the forces of language. McCormack is one of our bravest and most innovative writers – he shoots for the stars with this one and does not fall short." David Collard in the Literary Review said: "Solar Bones has certainly been worth the 10-year wait since McCormack’s last novel...An incisive meditation on the follies of contemporary Ireland, it is also a profound metaphysical exploration of life itself: grotesque, bizarre, and unprecedented, yes, but also wholly believable." Admission to the launch is free and all are welcome. Today is Poetry Day -what are you going to do?